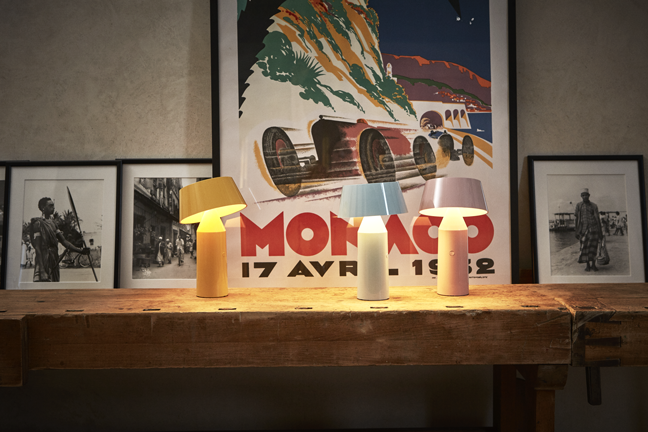 Marset is about more than lamps: they take care of light, in its different nuances and effects, to create atmospheres with character and improve clients’ quality of life. They dedicate all their efforts to creating first-class designs and helping ensure the flawless completion of each product. 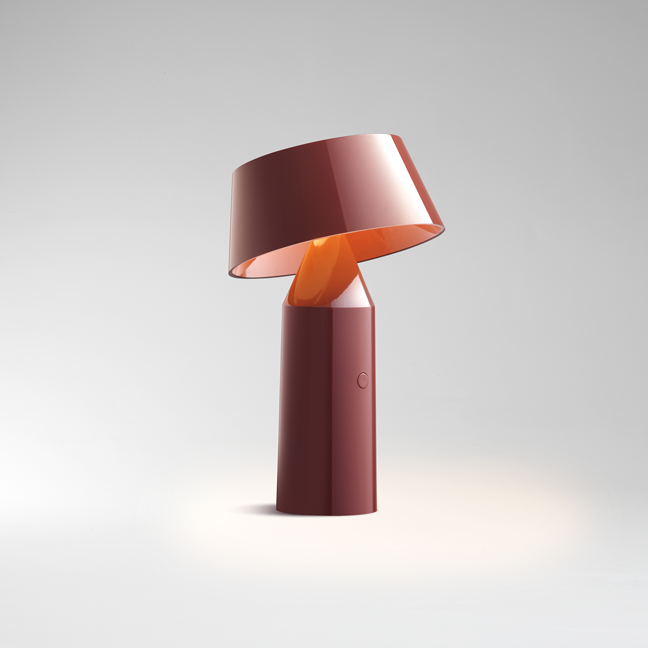 They seek to produce innovative, clever fixtures, kindling their audience’s senses while taking them on a journey. Marset’s lamps are refined and contemporary. Through technical precision and creativity they aim to discover new functions and applications for their time-honored fixtures. This constant quest for new directions, combined with their curiosity and foresight into the shape of things to come, has driven the ethos and design behind their collection. The main characteristics of this collection are its authentic feel, meaningful simplicity and decorative yet restrained visual approach. They believe it exemplifies Marset’s continuing endurance and adaptation: begun in the 1940s as a family business dedicated to casting metals, Marset has always applied the knowledge acquired from decades of experience to become a solid market presence with a global calling. 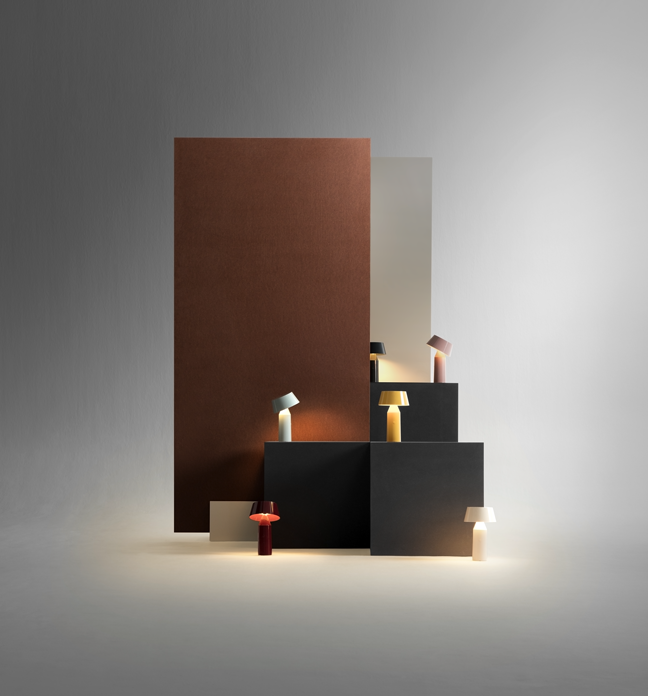 In recent years, Marset has received the DME Award 2014-2015, the Premio Nacional de Diseño 2015, and has been recognized with a Red Dot Award 2016 for the FollowMe lamp. Not long ago, a blogger of some renown told to Christophe Mathieu that when she saw the Bicoca for the first time she was so moved that it gave her goosebumps. This is one of the greatest compliments he’s ever received about something he’s designed, because it defines the Bicoca as a product that creates a personal bond with the user. The Bicoca is born with the optimism of brightening life and accompanying the good times, wherever you go. 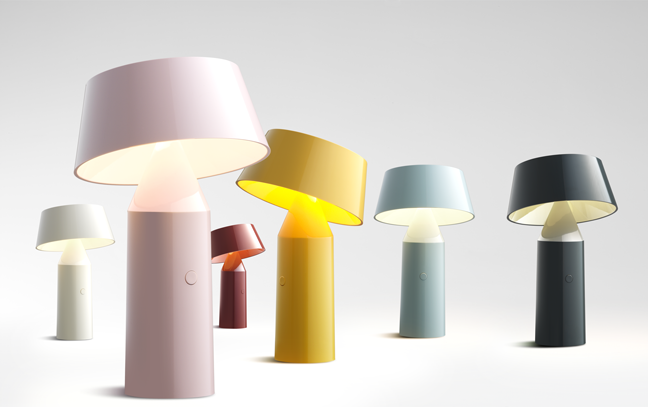 This new colorful, lightweight portable lamp projects an intimate light that adds warmth to all your personal spaces. Bicoca begins with an overlay of basic geometric figures, with a tiltable shade to direct the light, making it incredibly useful for working in small spaces and allowing it to serve as a desk lamp. 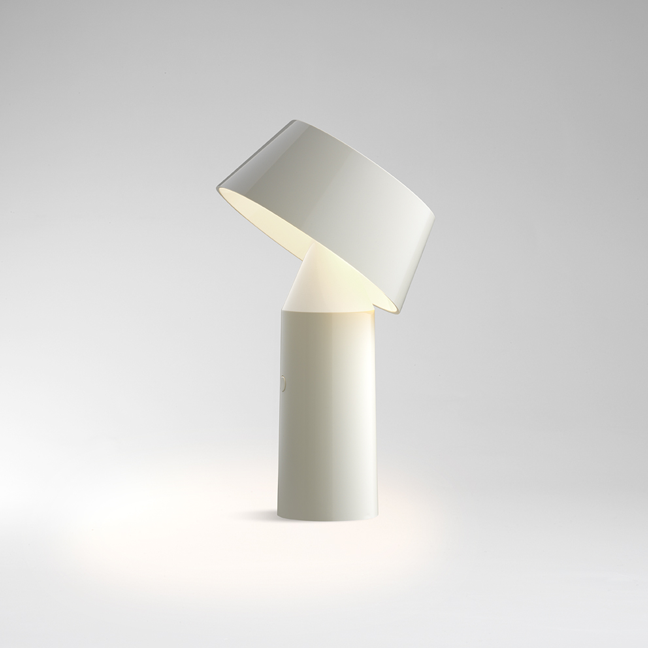 Three separate accessories increase the applicability and versatility of the lamp. A powerful magnet can be affixed to the bottom of the fixture, allowing you to place it to metal surfaces -even vertical walls- defying gravity. An armchair accessory drapes over armrests, sofa backs, or headboards, so you can bring your Bicoca to all your personal reading spaces. And a metallic disc accessory hides discreetly beneath the tablecloth, securing your Bicoca to the table. Lit by a 3.2W LED plate, with a color temperature of 2700K, the Bicoca’s battery lasts five hours at the highest light setting and up to 20 hours at the lowest. Its colorful shade and opal diffuser are made of lightweight polycarbonates, with a stainless steel and teflon joint. The Bicoca’s packaging is the preamble, the prelude to the product: it has been conceived in a language of flirtation, of impact, and in line with the image of the fixture. The wide range of shade colors provide an option for any taste and any space. Bicoca is small, manageable, versatile and autonomous.